Tuning and tweaking Tools Are added. 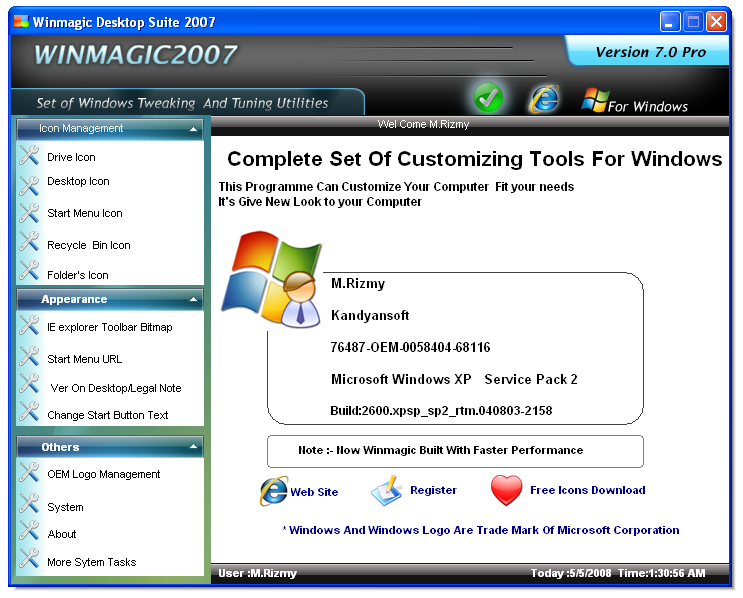 Now Winmagic build with faster performance. So you don't need to restart your computer for change effect. 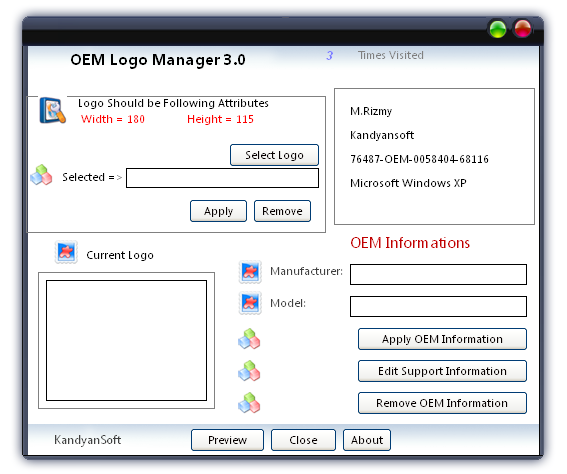 Oemlogo and Oem information management program. And OEM information to system properties. This utility can manage Internet Explorer browser options. Like Home Page, Search Page, Etc. Also includes some appearance IETitle, toolbarbitmap Brandbitmap, start menu url, IE information, etc. Now build with enhance security center protecting your Internet Explorer Realtime. Easy Swf explorer and player. Play files from URL and temporary internet folder, HTML generator and projector to swf converter are Included.